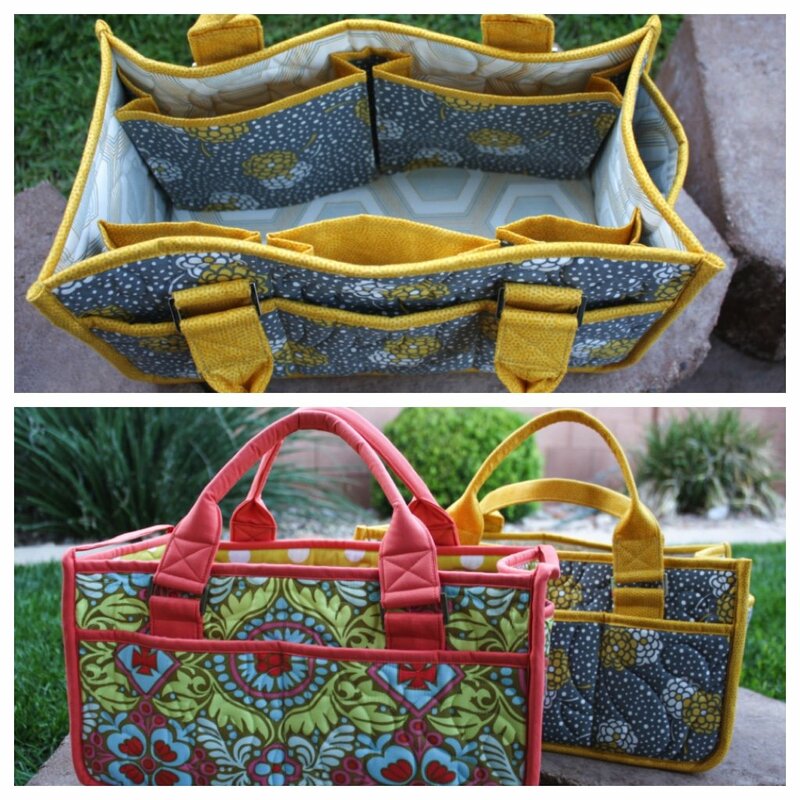 This is a great sewing caddy for classes or perfect for handwork projects. Lots of pockets to keep you organized! Optional zipper pocket...but not required! *not suitable for beginners, some bag making experience needed.